Dream it! Master it! Do it! 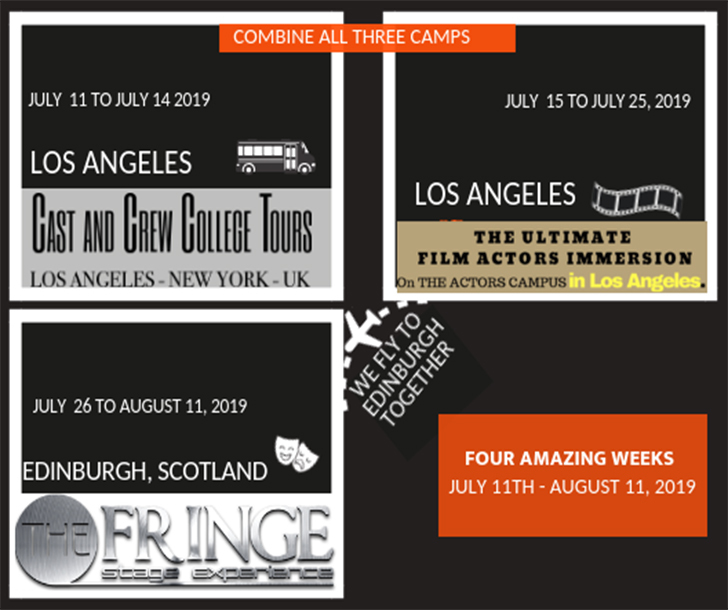 July 15th to July 25th 2019 LIMITED SPACE | Deadline Apr. 30th. "Superb experience for my daughter (and whole family for that fact). She loves her new camp family and we loved the parent program." "Price and promises were right on point. Well worth every penny!" "My son's first overnight experience was beyond what we expected. He was surrounded by all things 'film industry' 24/7 which was a dream come true." "There is no more guessing on what to do to pursue my film acting career. It was laid out for me and I am now on my path to being a working film actress! 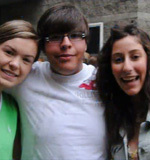 YAC IS THE BEST OVERNIGHT CAMP IN THE WORLD!!!" "I can proudly write this testimonial as a (ex) helpless father of a passionate young actor. I know what to do for him now to get him involved in the film industry. The staff and atmosphere was very good for him." 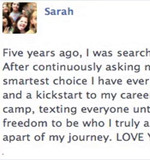 "This acting camp was life-changing. I learned confidence beyond what I thought I had in me. I learned to say 'I AM a film actress' and mean it. Say it, believe it, and achieve it. And I live it every day!!! Thank you so much YAC." "Thank you for letting me see my dream in real life." 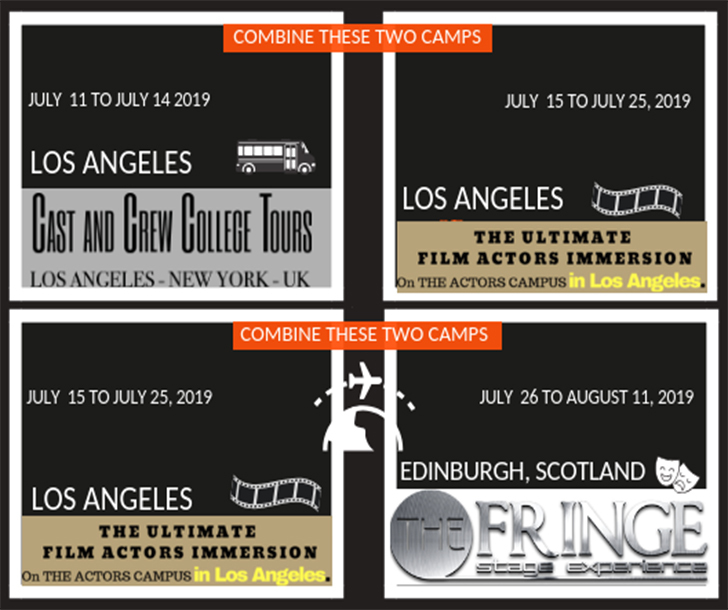 The Ultimate Film Actors Camp is a TWO SEGMENT program. It's a LAUNCHING PAD into the Los Angeles (or the actor's local) film industry. The international group of young actors is immersed in two segments of the most beneficial lessons available. Actors are are nurtured, honored, and celebrated for their distinctive needs and goals. We welcome ALL skill levels! 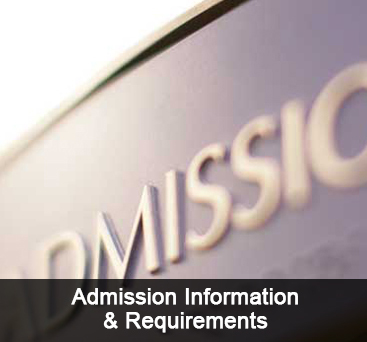 Search high and low for another program anywhere in the world that provides the same well-rounded education. If you find one, you may attend any camp on our site at NO CHARGE. This interactive Skype segment of camp is included in your tuition. 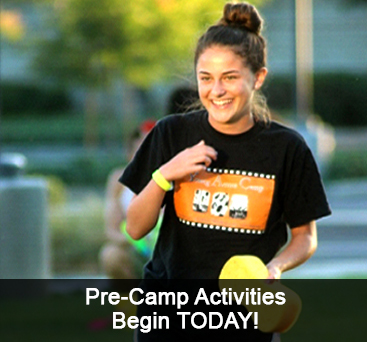 CLICK HERE TO REVIEW THE PRE-CAMP LESSONS. When participants take part in these optional lessons, they are much better prepared for intensive classes and meetings with industry executives. They will meet YAC teachers and campmates prior to their arrival. Pre-camp activities are NOT required but are highly recommended. It is not too late! REGISTER TODAY. ● Hollywood is our Campground! Hollywood industry centered field trips, studios, screenings - FUN! 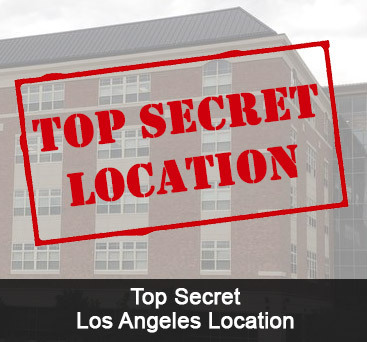 ● Film a feature movie AND a sitcom in front of a live audience with REAL LA-based production companies. THIS PUT US ON THE MAP UNDER 'AMAZING SUMMER CAMPS’!! We provide an unparalleled opportunity for an up-and-coming film actor to gain on-set experience that will build their resume and add credits to their IMDb page (www.imdb.com). 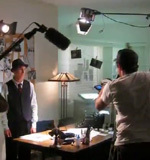 This major production provides an all-around education of the filming process, from the casting session to working with THREE production companies. The young actors will enjoy career assessing discussions with some of the professionals who work with them as they complete this real Hollywood FEATURE FILM. Character Development Exercise at Disney’s California Adventure Park. Actors are assigned creative (yet powerful) character development assignments that will forever change this aspect of their creative process. THEN... We will enjoy Disney’s California Adventure Park! Together we will clearly define who the actor is for a commercial product. Experience a "real commercial audition" environment, learn product handling, and make strong connections with the camera. Actors tackle intense commercial script work on their own and with scene partners. 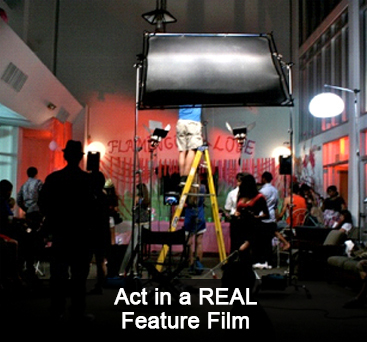 We cover everything there is to know about working in the world of commercial acting. This will be the most inspirational day yet as we perform in front of agents, receive their feedback, have dinner with a famous actor and explore the city. This segment will add strong credits to the actor's resume. Friends and family are invited to be a part of the fun as we shoot a sitcom in front of a live studio audience. As the actors listen and wait for laughs from their studio audience, they will also learn to deliver a performance blocked for multiple cameras. The actor will balance the internal comedy with the external technicalities of the medium for an effective filmed comedy performance. Professional production companies will replicate television sets on location and in-house, giving the actor an authentic filming experience. All campers will be sent a link to their sitcom work. Must be between the ages of 12 and 21 to participate. The college group (ages 17 to 21) train separately. Acting experience is highly recommended. Those without experience may be required to work with our acting coach via Skype sessions as well as participate in our actor’s book club (there is no additional charge). Skype coaching assignments begin in January. Experience is considered stage productions, school theater class, acting/imrpov acting class or camps, school or professional film projects, etc. Must be able to read and speak English well.